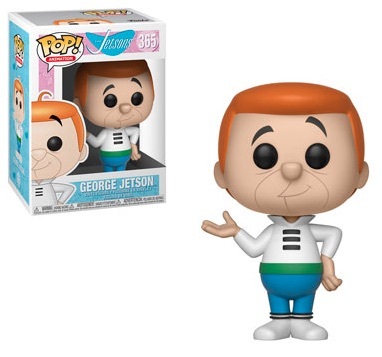 Meet George Jetson, and the rest of the gang, with Funko Pop The Jetsons figures! Originally airing in the 1960s, The Jetsons is one of many Hanna-Barbera animated classics. 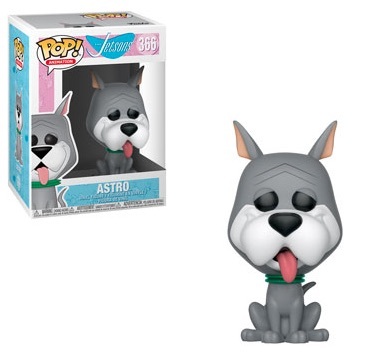 The futuristic Funko Pop The Jetsons lineup includes patriarch George Jetson, the family dog, Astro, and Rosie the robot maid. Shop Funko Jetsons Figures on Amazon. 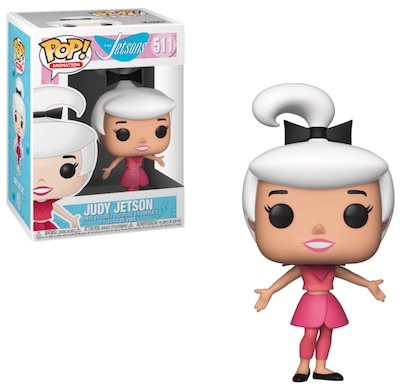 Later options include vinyl figures for his boy, Elroy, and daughter, Judy, plus Jane, his wife. 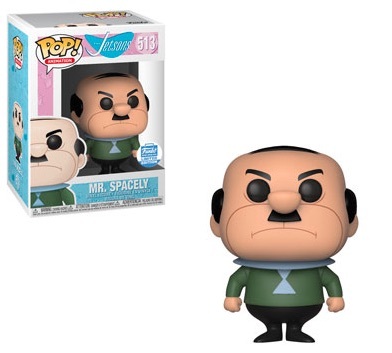 The cantankerous Mr. Spacely, CEO of Spacely Space Sprockets and George's boss, is exclusive to FunkoShop. 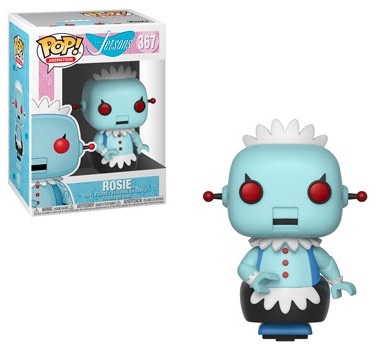 Rosie the Robot was actually the first Funko Pop The Jetsons release available to collectors. A limited three-pack debuted at the 2017 San Diego Comic-Con Pop-Up Shop with three different pastel colors for Rosie and a total run of 2,000 sets. The box numbering for the vinyl figures corresponds to the larger Pop! Animation offshoot. Shop Funko The Jetsons Figures on Entertainment Earth. Review related details about Funko Pop The Jetsons with our other Funko profiles. FUNKO Jetsons Pop! 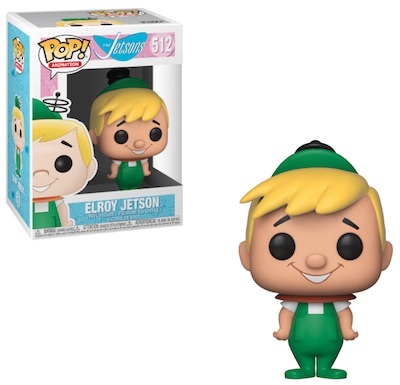 Vinyl Figure Elroy Jetson  NEW IN STOCK! FUNKO Jetsons Pop! 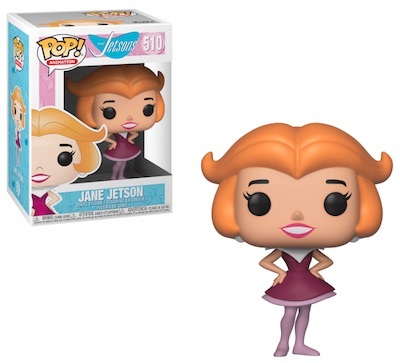 Vinyl Figure Jane Jetson  NEW IN STOCK!